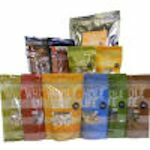 Only the very best treats will do for your beloved pet, and we have them! 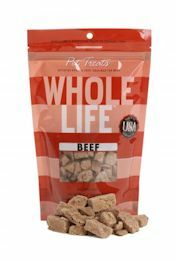 Whole Life Pure Meat Beef Treats, GMO, Hormone & Antibiotic FREE. 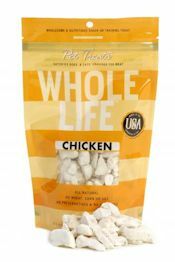 Whole Life Pure Meat Chicken Treats, GMO, Hormone & Antibiotic FREE. 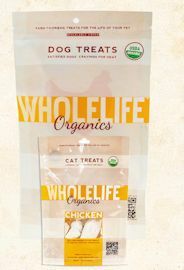 Whole Life Pure Meat Organic Chicken Treats, GMO, Hormone & Antibiotic FREE. 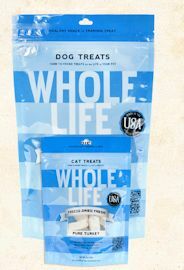 Whole Life Pure Meat Cod Treats, GMO, Hormone & Antibiotic FREE. 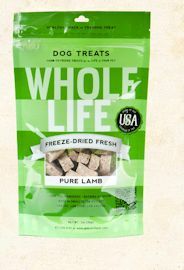 Whole Life Pure Meat Lamb Treats, GMO, Hormone & Antibiotic FREE. 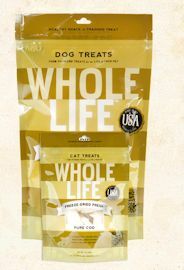 Whole Life Pure Meat Beef and Chicken Liver Treats, GMO, Hormone & Antibiotic FREE. 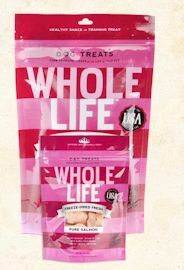 Whole Life Pure Meat Salmon Treats, GMO, Hormone & Antibiotic FREE. 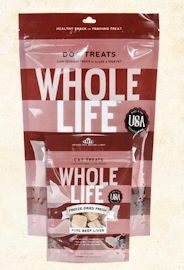 Whole Life Pure Meat Turkey Treats, GMO, Hormone & Antibiotic FREE.